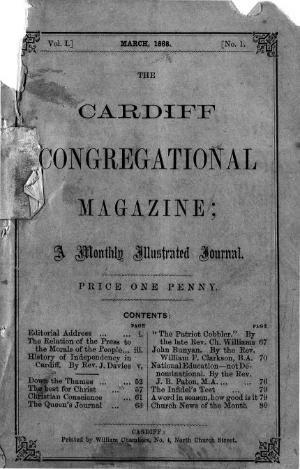 A monthly religious periodical intended for the Congregationalists of Cardiff. The periodical was edited by Joseph Waite and its main contents were religious articles and denominational news. Associated titles: The Glamorganshire Congregational Magazine (1870).